The current Government is intent on blowing an asset bubble to get us back to 2007 . Oh, happy days. A key part of that is to re-pump the housing market. This will help the now Government owned banks with their mortgage portfolios and keep the all important Daily Mail onside. However, as ever, Governments are not very good at joined up working and here is a typical modern example. 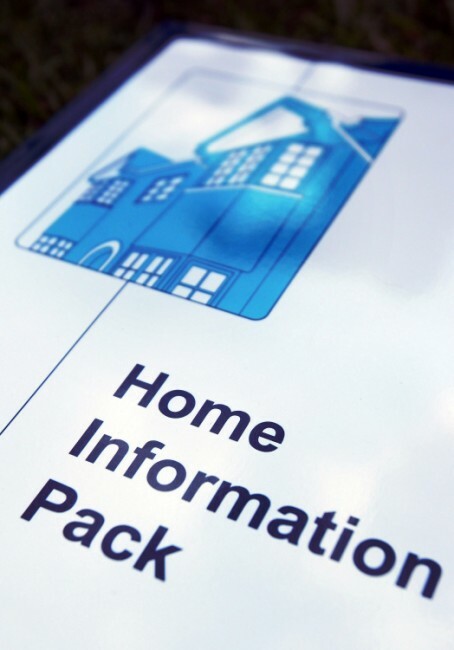 The Daily Mail et al were very upset at the introduction of Home Information Packs; all set to bring added administrative burden, a lack of inspectors, that sort of thing. However, there are people queuing up to be HIPS inspectors in our new wonderful spare capacity economy. Where there is a block however is in local Government. Due to cuts backs C@W understands that 3 big London boroughs, Woolwich, Croydon and Greenwich are processing as few as 2 HIP requests per day. Indeed, they have been cutting back on Property Searches recently to save money. Given that you can't legally sell your house without a HIP this is going to cause a great blockage in the system. At the moment volumes in the housing market our very low so the impact is not yet noticeable in the mainstream; it will be though as bubble keeps getting blown. Not unless we have an opt out. Be worth trying though, if only to see just how thin Gordon's much trumpeted Red Lines really are. Incidentally, I see Oct house prices declined. "a sensible Government may just scrap HIPS"
True, but the Government that imposed HIPs is our new one in Brussels, and they are certainly not sensible. Why should they be? It's not like anyone can vote them out. Actually, this dearth of HIP inspectors is not the great problem you might think. You don't have to have a HIP to sell a house; you need only have applied to have one to put a house on the market. For that reason, a really seriously overworked HIP inspector with an enormous work-queue is an asset; get put on the list, get notification of having applied, sell your house, cancel application and job done. HIPs are an EU thing, as others have already pointed out. OT1H, they are trying to get the nationalised banks to lend as much as possible; but OTOH they are waffling on about higher capital ratios, so hopefully the echo-bubble will go *pop* soonish. Actually, I am pretty sure that it is only the crude and misleading Energy Performance Certificate that the EU requires, which is relatively cheap. HIPs are the government's 'gold plated' 'enhancement'. It is the pointless searches, etc that make up the other bits of the HIPs that take the time and cost the most. Thanks Anon - spot on. HIPS are gold plating of the Energy Certificate. They could certainly be scrapped. The Tories have claimed they will already. i always thought that surveyors were the other self-interested party that wanted rid of hips. never been to sure about why all these searches need to be done several times by potential buyers anyway, how much did people waste on searches/conveyancing only to lose out on the property? I hope the Tories do a proper review of house buying and selling. Why is it so much more complicated to buy and sell a house in the UK than in other countries with similar legal systems e.g. Australia, Canada? Just a couple of things I would like to clear up here. There is no such borough as Woolwich it's just Greenwich. And you do need a HIP to sell your house due to the first day marketing rules that began in April 2009. Say what you like about HIPs but they do not restrict the supply of houses to market, the cost of them is no barrier to a serious seller. In order to improve the home buying process you need to tackle local government and solicitors. Which is not going to happen any time soon. But surely the advent of HIPS has prevented people putting a toe in the water? The market was partly fueled by unmotivated sellers having £ flashed in front of them. I buy and sell houses on a regular basis and have never seen a hip nor do I intend to ever look at one....thanks nulab for the extra expense. Weekend Yachtsman has it right here. I want to test the market and put my property up for sale. I really don't know if there are serious buyers out there, but is it worth spending £300 on HIPS just to find out?. Also, the information is time sensitive, as the search expires in six months.